Shirley along with her daughter Hannah have a combined designing experience of over 30 years and are always at the ready with great ideas for those in need of some inspiration. We enjoy channelling new ideas and love working with clients to help bring those ideas to life. Need some inspiration? Visit the Gallery to view all our bespoke commissions. 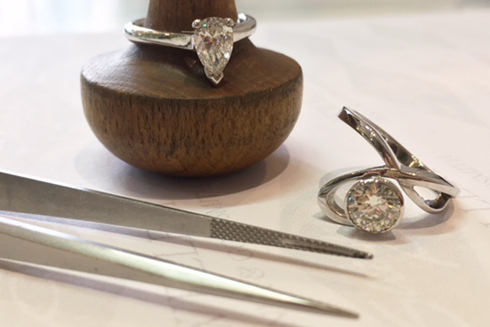 To guarantee you are seen by one of our in-house designers, please book your consultation in advance. You can do this by completing our contact form or by phoning the shop. Remember to include your contact information and details of the services you are interested in. 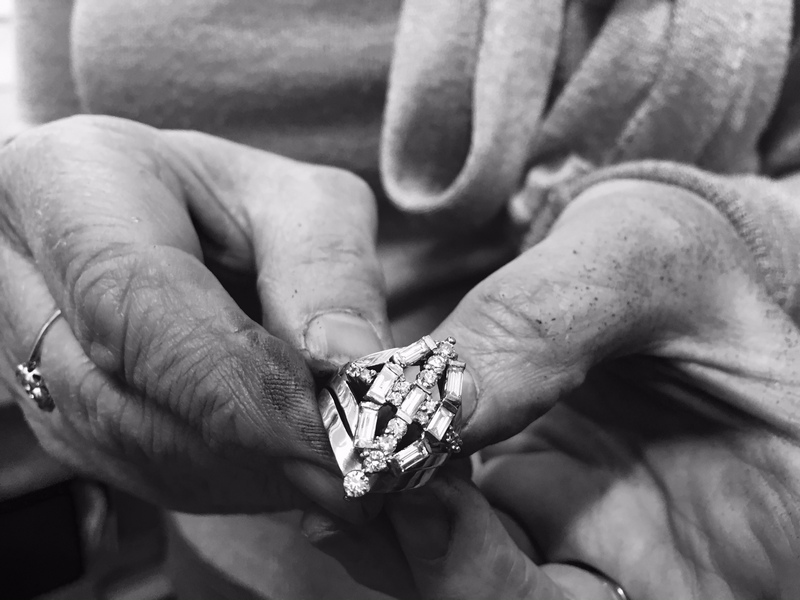 We are craft members of The National Association of Jewellers (NAJ), which is the UK’s leading jeweller trade association. As members, we follow the NAJ code of conduct which is based on honesty, integrity, and professionalism. 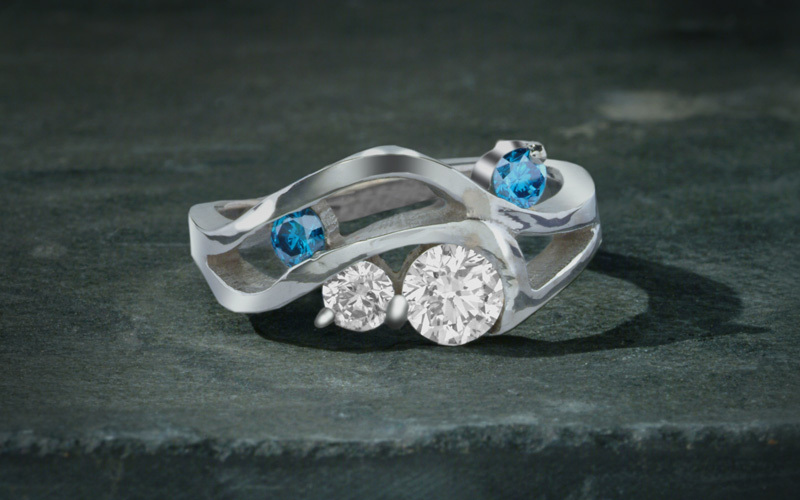 If you are looking to discuss a particular jewellery commission, we do encourage our customers to book a consultation. However, we welcome anyone who is interested in our jewellery and passers-by to pop in and have a look around. We display many of our custom pieces and new designs to give inspiration to our customers. Shirley Paris Jewellery designs unusual jewellery in the UK, specialising in wedding jewellery, bespoke jewellery design, jewellery repairs, jewellery remodelling and Scottish jewellery in Glasgow. 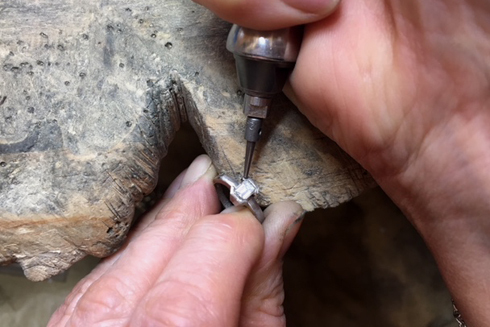 Shirley has over 30 years experience in diamond ring repair, setting diamonds and setting gems. To find out more, feel free to get in touch. 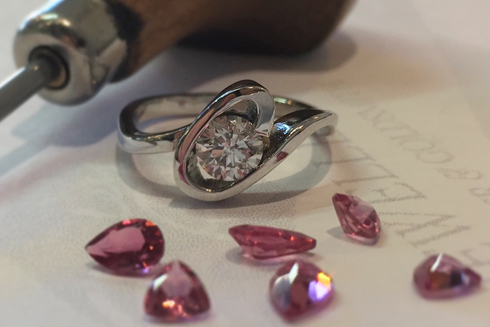 For your handmade jewellery design consultation, we can source diamonds and coloured gems of your choice. Let us help you select the perfect stone. Shirley and Hannah can design a one-off piece of jewellery especially for you. 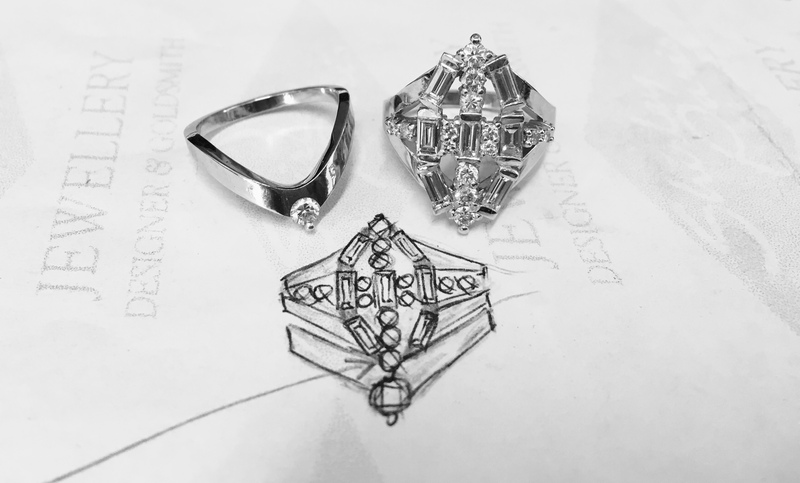 Get in touch now for bespoke jewellery design. 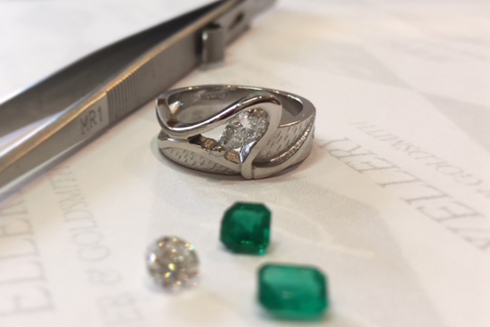 We offer a jewellery repair service from our workshop in Larkhall.